The story of this man and the motorcycle he made in his garage is inspiring to say the least. Watch the documentary below, time well spent. The Britten V1000 is a handbuilt race motorcycle designed and built by John Britten and a group of friends in Christchurch, New Zealand during the early 1990s. The bike went on to win the Battle of the Twins in Daytona International Speedway’s Daytona Bike Week festivities in the United States and set a number of world speed records. The bike was designed from first principles and hosts a number of innovations including extensive use of carbon fibre, the radiator located under the seat, double wishbone front suspension, frameless chassis and engine data logging. 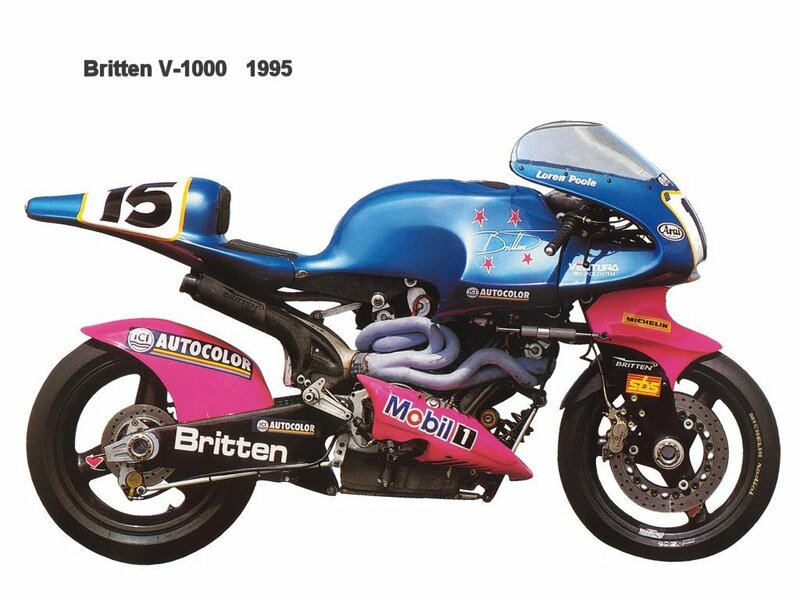 A total of 10 Britten V1000s were produced by the Britten Motorcycle Company and now exist in collections and museums around the world.